Grace is always excited to Giveaway a special something-or-other to her treasured followers! Watch this page for a Book Giveaway and also a Gift Giveaway. Stay tuned! Grace's Giveaways will be a mix of gifts from Grace and gifts provided by third parties, such as authors who generously offer me a book to review as well as a second copy to offer as a Giveaway. Giveaway contests are open to followers in USA, Canada, UK, Australia unless otherwise specified by third party rules. You must be 18 years or older to enter. Aren't we women all wondering why we are here, what our purpose is, who we are? From the time we are young girls to old women the questions are the same - until we can finally learn to be Free. Free from Masks, our Past, Shame, Fear - to Forgive, Say No, Be Me, Live, Be Weak, Love, Laugh, Give, Lead. These are the chapter headings and the areas of our lives that hold us hostage. The author discusses all of these and gives us personal accounts and testimonies to show us ways to overcome these chains that keep us from being the woman God created us to be. I found myself in every chapter, during one phase of my life or another. The book encouraged me to face my fears and failures, misconceptions and hurt feelings and to listen to God when He tells me He loves me, that I am special, that He will stand beside me always. My soul was touched, my heart could feel the beginnings of joy, and my eyes were opened to things so hidden I forgot they existed. I rate this a 4/5 for covering such a complicated and challenging topic in a caring and thoughtful manner. I would recommend this to every woman, young or old, perhaps especially the young - to use it as a road map to finding out who we really are. I received this book free from the author in exchange for my honest review. My opinions are my own. I was not compensated. This giveaway is not connected to Facebook in any manner. This Giveaway begins on December 14, 2011 at 6:00 am MST and ends on December 20, 2011 at 6:00 pm MST. It is open to everyone. Note: A minimum of 10 entries is required to qualify as a valid giveaway contest. The author has generously offered an ecopy of this book for a Giveaway! The winner will be contacted by Mrs. De Souza and she will send the ebook directly to the winner! This is a fiction book based on fact. It has romance, suspense, mystery as well as tackling a couple of difficult social and cultural issues. The main character, Exilee, is a child of mixed races – part American Indian mixed with black and part white. She identifies with her Indian heritage most and battles cultural stigmas in all areas of her life. All of her life she has understood animals to the point that she felt the could talk to her. This insight is pivotal toward the end of the book. At the same time she finds and is about to marry the man of her dreams, she lands right in the middle of a homosexual hate crime and soon after, discovers her soon-to-be inlaws’ home hides part of the Underground Railroad. Exilee comes across as a very strong woman who had a few stellar role models in her life. She also dealt with some major pain and sadness in her life. I thought this book was difficult to read and to review, but a good story all the same. I had a hard time following from the end of a chapter to the beginning of the next chapter. The author left too much hanging at the end of one chapter and jumped right into the next event without letting the reader know how we got there. Nevertheless, as I said before, the story grabbed me and I had to keep reading. There were some references to body parts that I feel could have been omitted, and the drunkenness was a bit overdone. It was also difficult to understand what was evidently a slang used by the Native Americans in that area. The story shed light on two cultural and social issues that are even today not understood. I could feel disgust and anger at the slurs and ugly comments made to Exilee regarding her heritage and to Jake regarding his homosexuality. The author did a good job of championing their causes. It reflects well that 'Black Purse' is in all NC's state capital libraries. I would recommend this book as a good thriller that leaves you guessing right up to the end. I rate it a 3 out of 5. The author provided a copy of this book in exchange for my honest review. The opinions expressed here are my own. 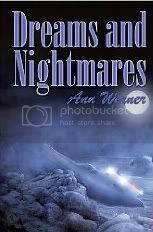 For limited time an ebook copy is free through Smashwords.com. Code is AS45A. 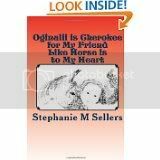 Oginalii is written for young adults, but I enjoyed it just the same. 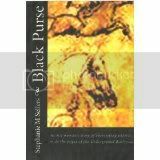 It is the prequel to Black Purse (see review above) and covers the time in Exilee’s life just after she lost her Mother and was being raised by her Aunt Bell. Even at this young age, she communicated with the animals in her life – Yellow Cat, her horse, cows and the neighbor’s 3 ½ legged buffalo that she calls Oginalii. Exilee is quite the tomboy, preferring to put on her own little pony shows to learning the piano as her Aunt Bell insisted she must do. She and her sister have a strained relationship, Glennie being jealous of Exilee. Their Nanny, Miss Ginger often has to step in to settle arguments. 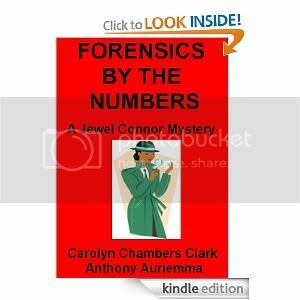 After the death of Aunt Bell, the tension increases as the girls attempt to solve a mystery. This book is easy to read and quick-paced. It keeps you involved, brings you right into the story and keeps you guessing right up to the end, as it leads you towards the sequel, Black Purse. I give this book a 4/5 and recommend it to any age group. Brenda Casto is the winner of Two Books! This Giveaway begins on December 6, 2011 at 6:00 am MST and ends on December 13, 2011 at 6:00 pm MST. It is open to USA only. Ms Sellers has generously offered a copy of these two books for a Giveaway! The winner will be contacted by Ms Sellers who will mail a paperback of each of these two books. The wonderful folks at Dayspring have offered a $20 Coupon Code for the Dayspring Online Store! Congratulations to Kathy Davis, winner of the $20 Coupon Code! You can congratulate Heather here and on her blog, too!